Hotel Nikko Bali Benoa Beach is an idyllic tropical getaway just steps away from the white sands of Tanjung Benoa Beach. Ensconced within the hotel, discover Spa at Hotel Nikko Bali Benoa Beach, where guests can experience an extensive range of treatments and spa journeys tailored to provide the ultimate in relaxation and pampering. The spa includes a mix of single and double treatment rooms, a beauty salon for facial and hair care and a 24-hour gym. The spa’s natural concept is fully reflected in the choice of natural products used for the signature treatments. The interior, meanwhile, elegantly showcases the exotic Balinese culture and provides a natural healing ambience. Guests are invited to indulge in the vast selection of treatments, including traditional massage, facial treatments and pampering beauty routines, nail and hair care and body rituals like the popular Bali Coffee Body Bliss. 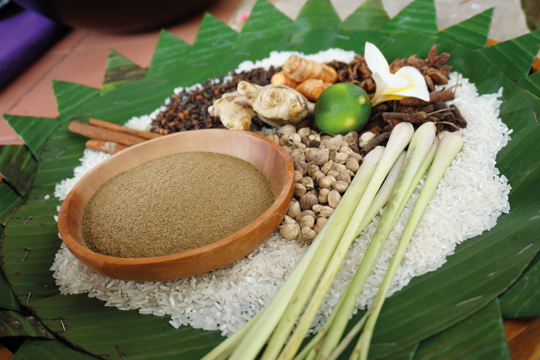 Inspired by the tradition of Balinese royalty, who used coffee to polish and tone the skin prior to ceremonies, the two-hour Body Bliss treatment uses organic coffee beans cultivated from the highlands of Kintamani in a treatment that improves blood circulation, soothes irritation and enhances skin tone.